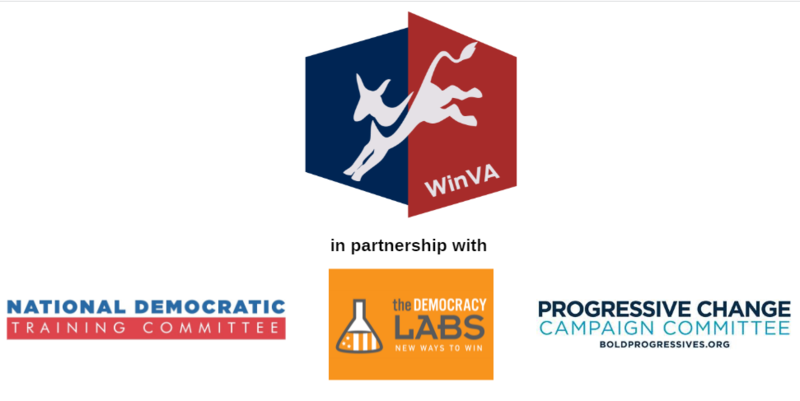 WinVirginia is hosting a three day candidate training March 8-10, 2019 in partnership with the Progressive Change Campaign Committee, National Democratic Training Committee, and the Democracy Labs in Richmond, Virginia. We are excited to offer this cutting-edge candidate training and networking program to all Democrats running for Virginia House and Senate races in 2019. Candidates will learn how to build and run a strong, 21st century campaign, including campaign setup, field operations, digital campaigning, fundraising, messaging, public speaking and a lot more. You can view our 3-day agenda here. The training is free of charge. Attendees will be responsible for their own travel and lodging. There is a registration fee of $100 to hold your seat that will be refunded upon completion of the training. Please submit your registration fee here and complete the form below. Registration will close on January 31st, 2018. What office and district are you running for (Ex: Delegate - 17; Senate - 32)? Are you running for office in 2019? Have you officially filed as a candidate? Please limit to 150-200 words. I understand that photos and/or videos of me will be taken, on or about March 2019, by or for WinVirginia and that these photos and/or videos, including my image, may be used in television and/or radio and/or in any other public communications to be used and/or distributed by WinVirginia as WinVirginia may see fit. I understand that WinVirginia are the sole and exclusive owners of all photos and/or audiovisual recordings made of me and that WinVirginia may edit the photos and/or audiovisual recordings. I hereby grant to WinVirginia the right to make photos and/or audiovisual recordings of me; to use any or all of such recordings in print, electronic, Internet, television, radio, broadcast or any other form of advertising; in promotional, marketing, and/or fundraising materials; and/or in communications, on WinVirginia’s website, in e­mails, and in any other visual and/or audio works (all such advertising, promotional, marketing, fundraising, e­mails, websites, communications and any other works being hereinafter referred to as “WinVirginia Communications”); to distribute, reproduce, copy and use the WinVirginia Communications in any manner and by any method, anywhere in the world, for any purpose, in perpetuity, and to grant to any other person or entity the right to distribute, copy, and use the WinVirginia Communications in any manner and by any method, anywhere in the world, for any purpose, in perpetuity; and to use my name, likeness and any other information I provide to the WinVirginia in WinVirginia Communications. I hereby release WinVirginia from and against any and all claims, demands and causes of action of every kind and nature, which I may now have or hereafter acquire, arising out of or in connection with my appearance in the WinVirginia Communications or my participation in their production and use, including, without limitation, any claims, demands and causes of action for invasion of privacy or publicity, defamation, libel, personal injury, infliction of emotional distress and any other tort in connection therewith.